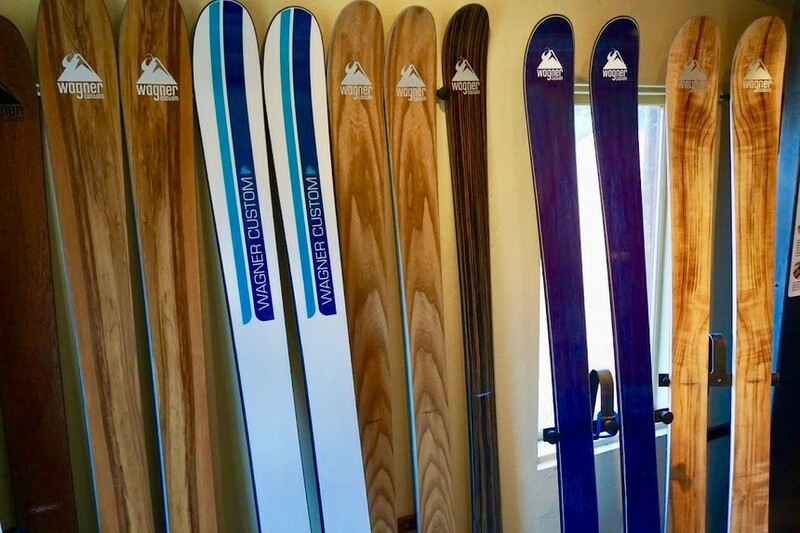 For an average of $2,000 a pop, you can bet Wagner Custom Skis look pretty AND ski pretty. Tara Yant photo. I’m not a fancy person. My dinner’s often just an extra large snack, I wear hand-me-downs from a cousin twice removed who I’m pretty sure lives in a desert cave, and if I ever survive a relationship long enough to honeymoon, I’d simply pitch a tent on some moss in the woods. But while I don’t understand things like caviar (let’s go ahead and leave that in the fish), as a ski patroller who attaches skis to her lower limbs for half the year, I do love me some swanky snow planks. In other words, I was fully down to get my fancy on when I was invited to spend a long weekend alongside Pete Wagner of Wagner Custom Skis in a rental house in Telluride, Colorado, that the Justin Timberlake stays in for a casual $100,000 per month. Enough about JT (and the fact I may have touched and/or licked every faucet simply because his body might have been there). I’m here to talk skis. Core galore! Wagner's stocked to build whatever ski or board will work best for you. Tara Yant photo. There are skis and there are skis, and Wagner makes the latter. 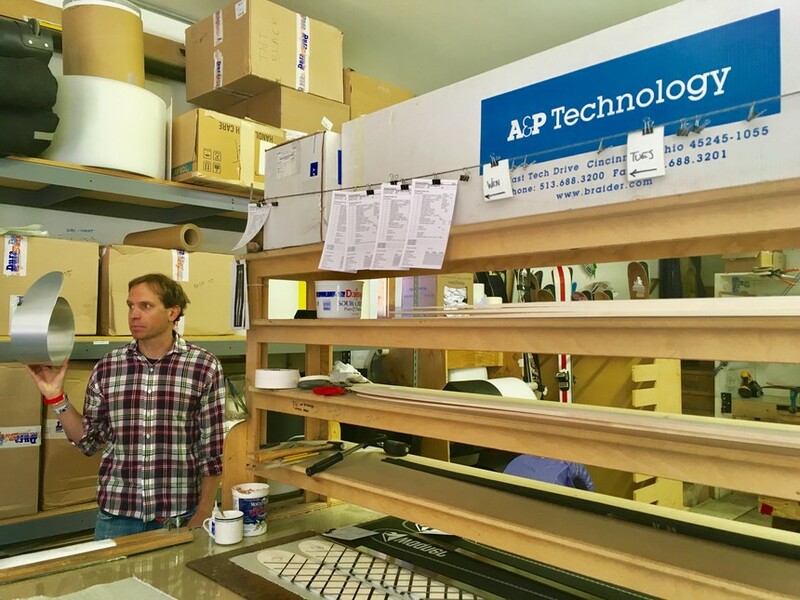 The 40 years young Mechanical Engineering grad began his career designing high-tech custom golf clubs. Allowed to work remotely, Wagner chose to hunker down in Telluride, but in doing so, his attention drifted to skiing. Golf got the boot, and he spent the next seven years developing more than 300,000 lines of code for what would become Wagner’s Skier DNA Software. Wagner’s software effectively flipped the bird at mass producing soulless skis. 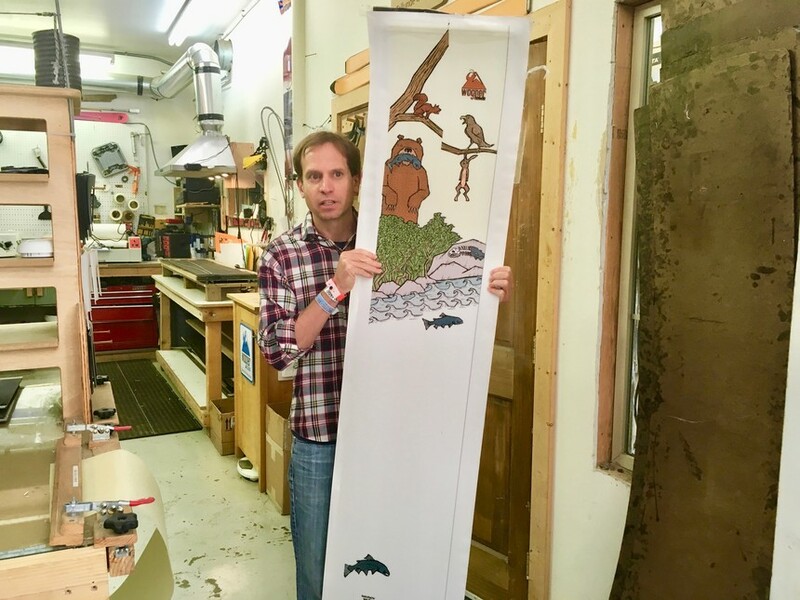 By 2001, he had cracked ski-making (his secret: analyze the individual) and took his software to the handful of big name ski companies out there. Here’s the thing: None of them cared about his new code. They pretty much scoffed the concept. Reflective of Wagner's designer mentality, the Wagner Custom Ski factory is in a former gas station. Tara Yant photo. Charged up, Wagner decided to grow his own ski manufacturing business. His model was basically that of the race room (that little shop in big factories where they custom-make skis for top racers) but for recreational skiers. He had the software, an M.B.A., and an advisory board that included David Jacobs of Spyder. Fast forward three years and Wagner was cutting the ribbon to his first factory, a recycled gas station heated by six solar panels. Wagner Skis predominantly have wood cores, but if metal's best for you, metal's what you'll get. Hashtag practicality. Hannah Clayton photo. 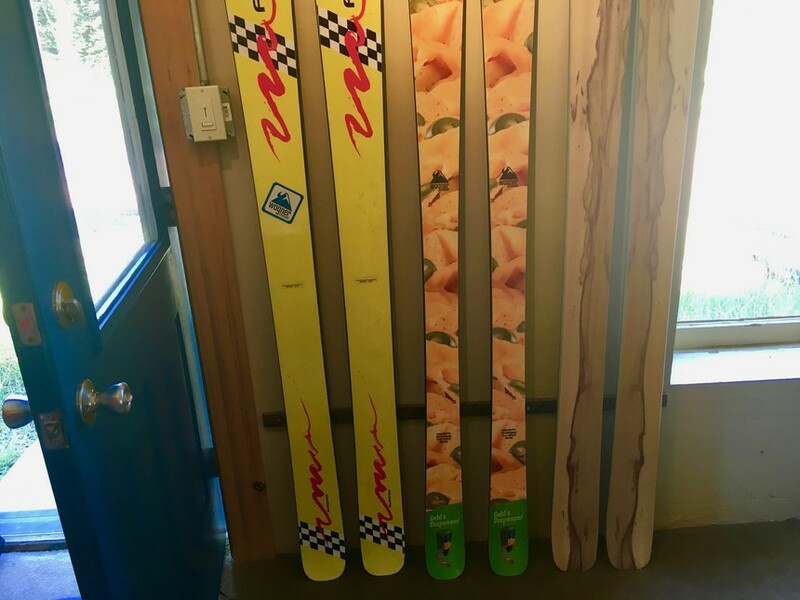 You may wave your fists in a flurry when you learn Wagner’s wooden-core skis start at $1,750, but stop right there. Ease those fists. These skis aren’t born of molds, but technology and craftsmanship. 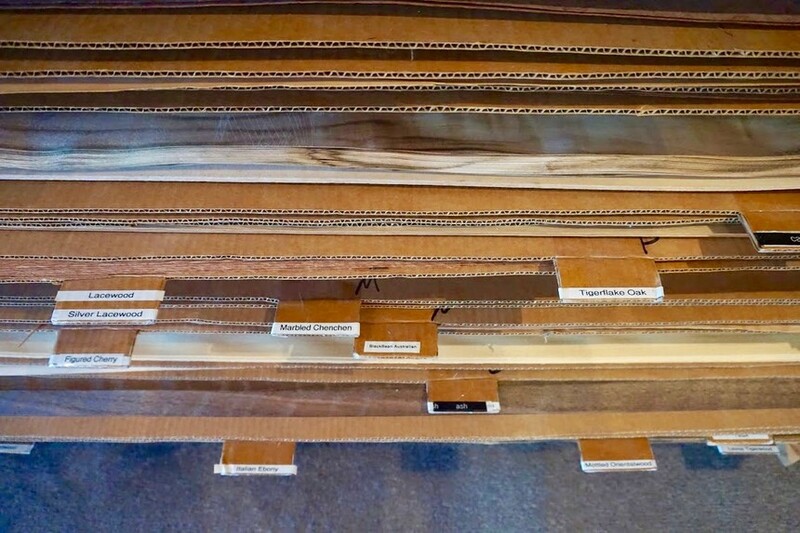 Each Wagner product varies in length, width, sidecut, tip/tail shape, rocker/camber profile and material composure, depending on the stiffness/flex you’re after. The whole thing may sound like a crazy science, but Wagner’s quick to say his job’s an art. Ski-making’s all about design. Those middle skis there—those are the nacho cheese skis, cheese dispensers on the tails. Hannah Clayton photo. 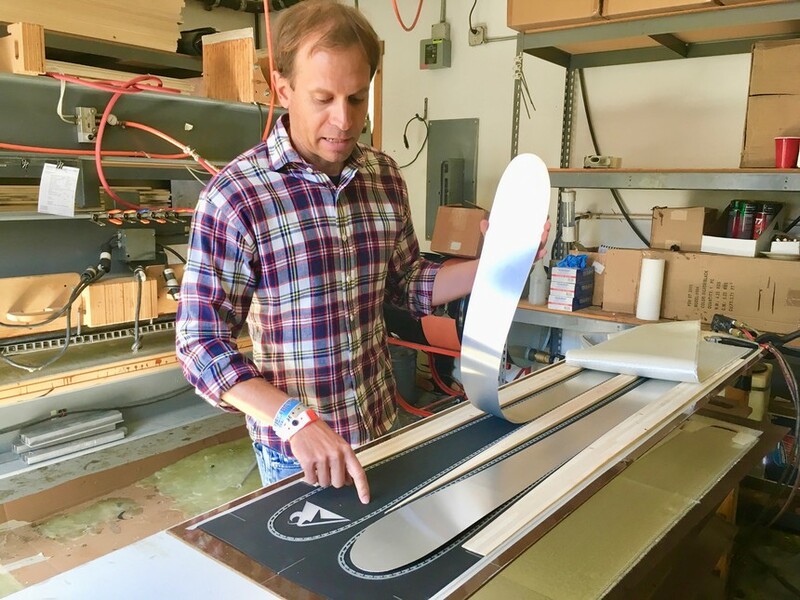 Wagner’s method might not epitomize perfection, but he only had to rebuild four of last year's 1500 pairs of skis, and that suggests his manufacturing's dialed. He’s even got an in-house graphic designer who’ll help you make your topsheet. One skier chose nacho cheese for his topsheet, placing cheese dispensers on each tail. Another opted for a raw bacon snowboard, scanning Wagner the meaty strip from his local library. Wagner went one step further, substituting bacon grease for the wax on the sidewalls. Not only did his client’s snowboard look like bacon, it smelled like it, too. Meet Wagner. Here, he stands with pre-cut skis and another baller graphic. Hannah Clayton photo. You could be an ostrich babysitter in South Africa (that’s a thing) or an official elephant dresser in India (that’s another thing) and Wagner will design you your choice of skis or board. Your purchase also gets you a day pass to Telluride, half privately guided. 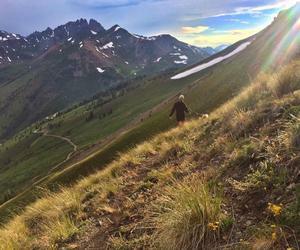 With his partner, Telluride Rentals, you can also put together an entire trip. 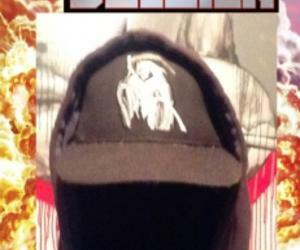 For however much you’re willing to drop, the duo will arrange housing and outings, including backcountry adventures. 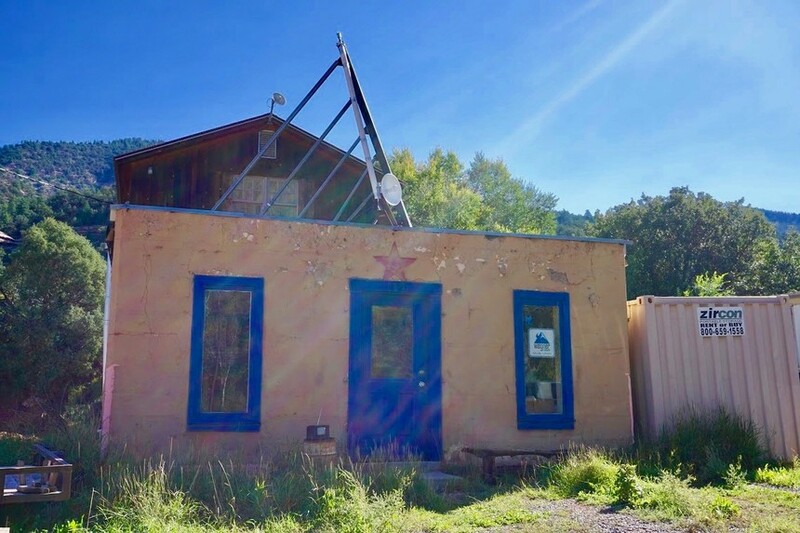 Wagner Custom Skis is relocating in November to a ski-in/ski-out location within ski-boot-walking distance of Telluride Helitrax, a heli-skiing operation. Their new digs will be fishbowl-like to encourage customer interaction, and they’ll be keeping their funky DIY machines (one makes use of skateboard wheels, others incorporate duct tape), as well as their recipe cards—cards that list each person’s skis’ ingredients and hang above the workbenches, restaurant-style. "Recipe" cards with each individual's specifications hang above the work benches, ready to make magic. Hannah Clayton photo. 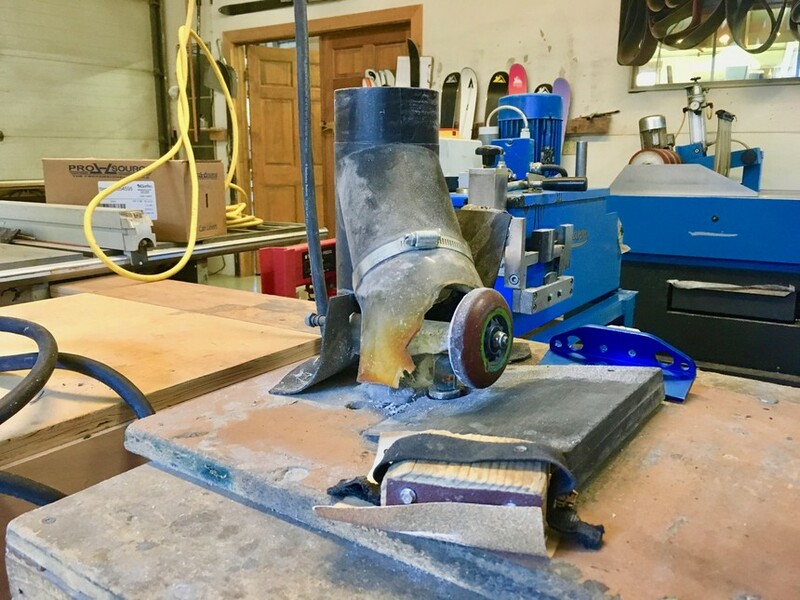 This here is a fancy pants skateboard wheel ski-making machine. Hannah Clayton photo. "YEAH, THOSE SKIS NEED A SERIOUS WAX..." Hannah Clayton photo. Wagner’s streamlined his Skier DNA Software. No longer eighteen pages, the questionnaire lasts a painless three minutes—all you hand over are your height, weight, skill level, age, gender, terrain preference, and a few words on what you’re looking for in your equipment. After, you chat with an employee to figure out what’s going to work best for you, and then with the graphic designer to discuss topsheets. My topsheet will harken back to my roots: England vs. America. The Queen’s face WILL feature. 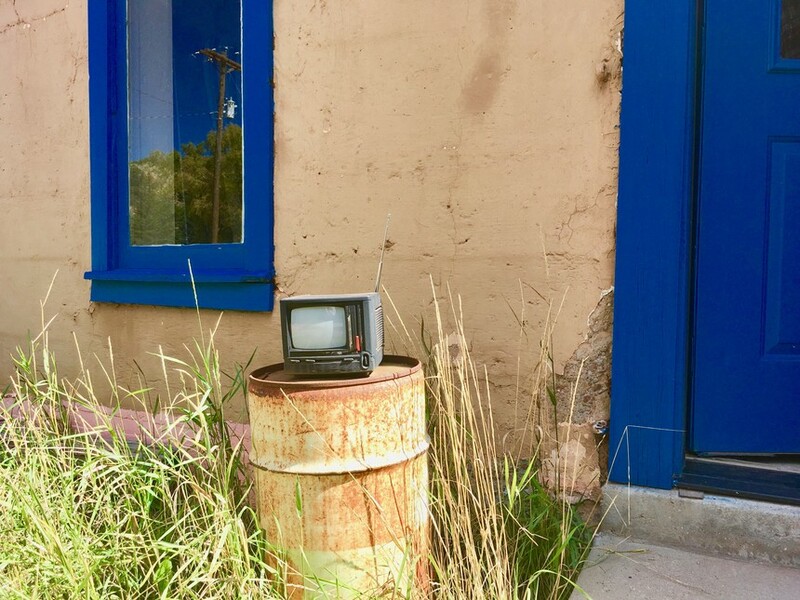 Fancy front door decor: a miniature TV that used to play a looping movie. Hannah Clayton photo. I’ve been loyal to Tahoe-made skis, but I’m ready to give another indie company a shot. I’m also ready to once again show my fellow patrolmen that customized skis are the way to go; properly fit planks are similar to dialing in your ski boots: they help your balance, control, power and efficiency. They make you less of a Jerry, and more like Lars and Silas Chickering-Ayers, two freeride legends who ski Wagners them very selves. No pressure on Wagner or anything, but I anticipate feeling like a unicorn atop my made-for-me-and-me-only all-mountain skis. Keep posted for a performance update, come snowfall. It’s true, he figured it out. I’ve been guiding/teaching/skiing Pete’s Wagners’ since he launched (>1000 days). The ability to (for a ski aficionado) use a tool so refined as his makes all the difference, truly! I’ve skied my Wagners everywhere, Telluride, Jackson, all over the Alps, and in Morocco (Africa). It is true that ultimately it comes down to the driver. Most drivers though preffer the shiny red Ferrari to the beat up Tacoma from -90’s when given the choice. Choose smart, every turn counts. Did I miss the follow-up?